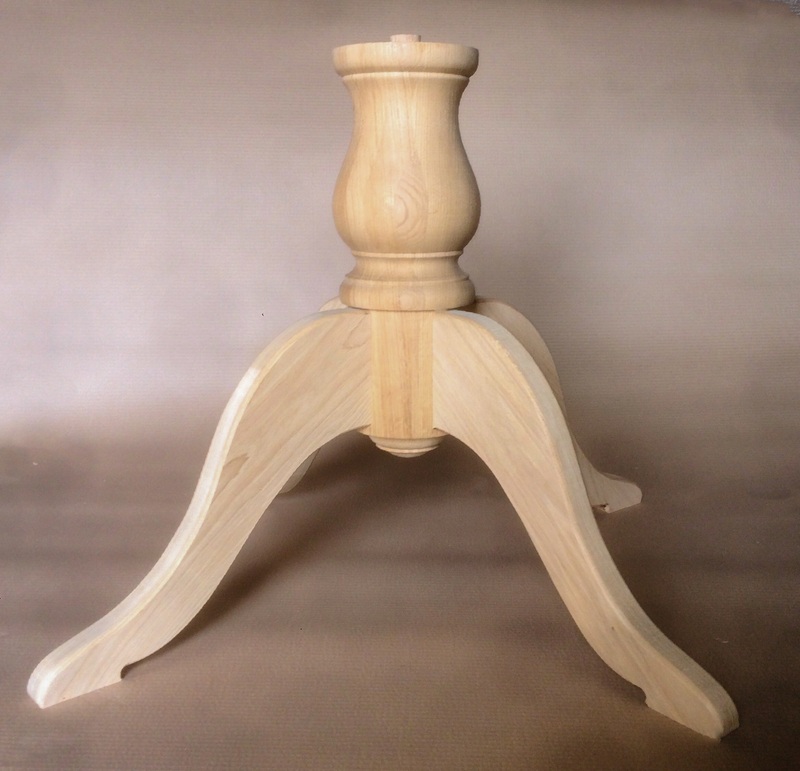 We manufacture to order a range of pedestal table leg sets in any of our range of timbers. 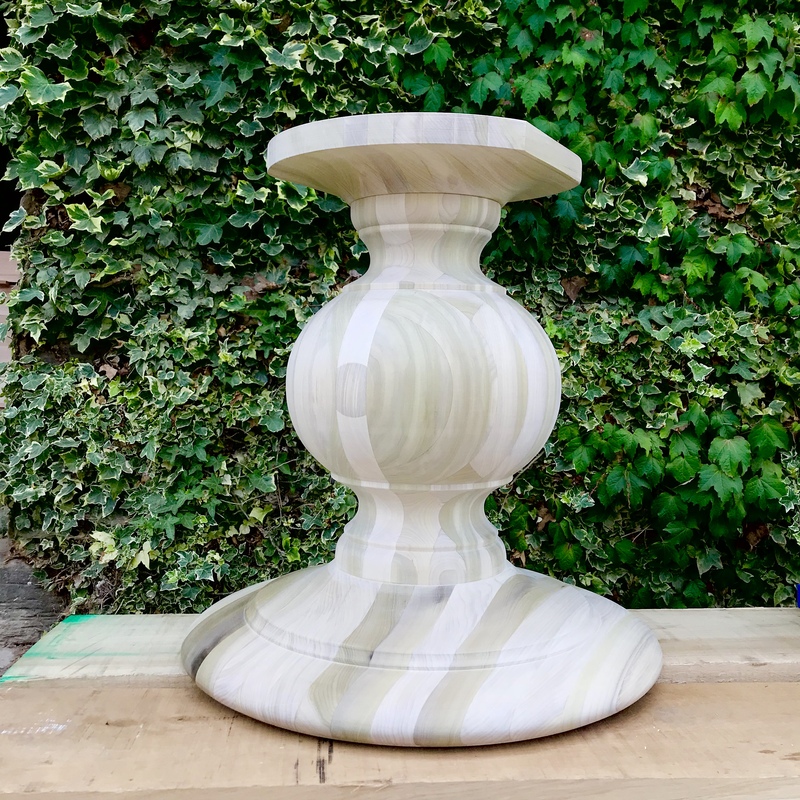 Supplied in knock-down form, all these pedestal sets are made to order to suit clients' needs, contact us to discuss the size and type of table you are making and we will be happy to quote for a suitable pedestal set. Suitable for tables from 450mm to 800mm diameter. Shown here in Oak but available in a full range of timbers. Supplied in knock down form, assembly is very straight forward. Suitable for tables from 800mm to 1300mm diameter, three or four legs, depending upon the size of the table. Shown here in Oak but available in a full range of timbers. Supplied in knock down form, assembly is very straight forward. Suitable for oval and elliptical tables from 800mm wide to 1800mm long. Shown here in Oak but available in a full range of timbers. Supplied in knock down form, assembly is very straight forward. Becoming increasingly popular are large solid pedestals. We have produced these for tables up to 3m diameter but more typically the one shown in pine suits a table 1.5m diameter. This pedestal is priced below and we will be happy to give a quote for other sizes. Shown here is a finished table using one of our solid pedestals. 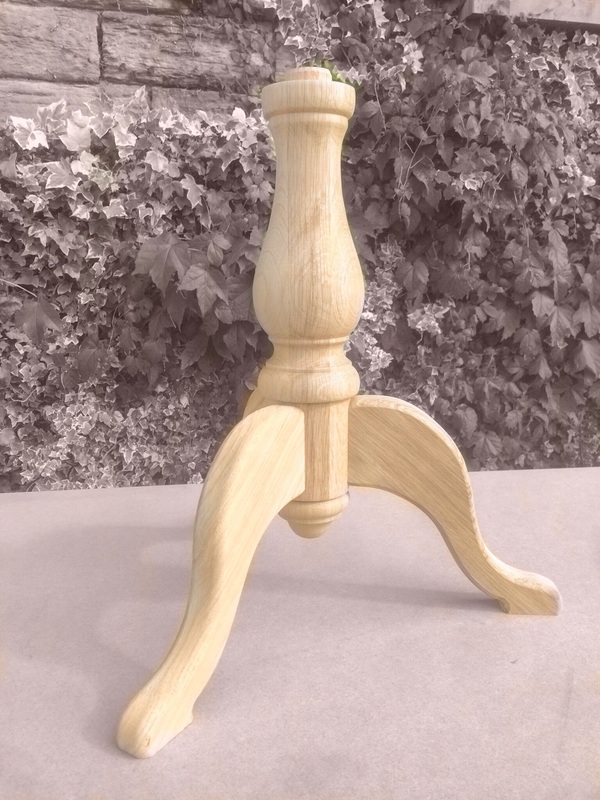 Made in tulipwood for painting, this pedestal sits below a 1.6m diameter Oak table top. 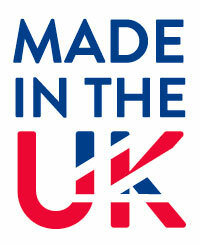 Please note we do not make the table tops or a finished table but would be happy to give details of makers if needed. 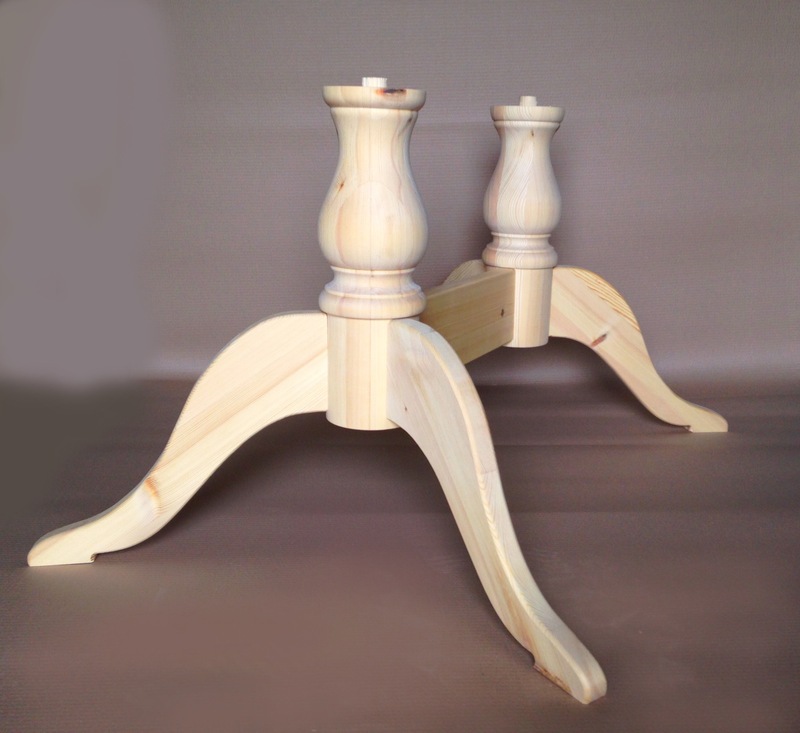 Shown here is a finished table using one of our four leg pedestal sets. 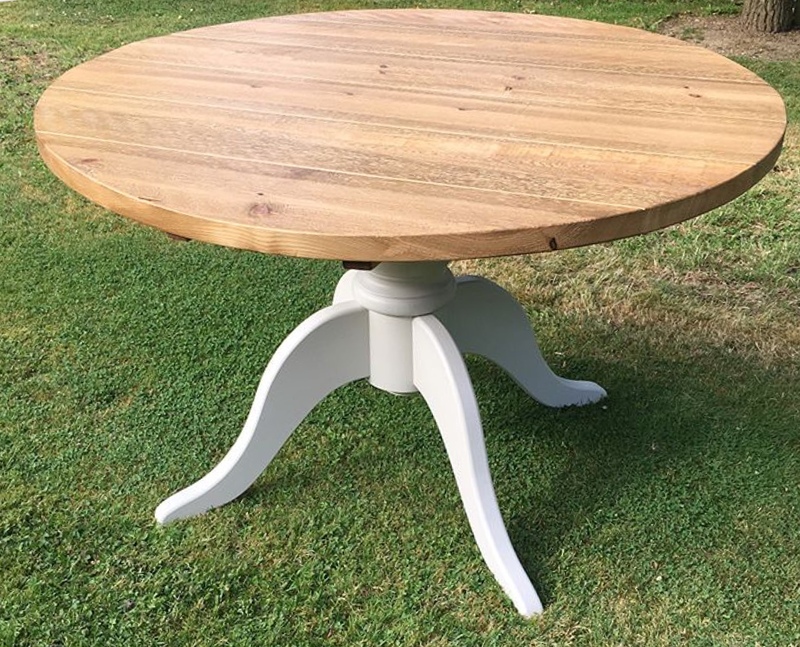 Made in pine and painted, this pedestal sits below a 1.2m diameter Pine table top. Please note we do not make the table tops or a finished table this is the work of Meon Hill Interiors. All prices shown are subject to V.A.T. at the current rate. Thanks for visiting, we hope you see something you like.